Northbrook, IL – March 22, 2019 – The average sale prices fell midway into the first quarter began continuing last month’s trend. Housing data for February shows the number of new listings and closed sales increased slightly compared to the same period in 2018, as well as houses under contract. There were no significant increases in any aspect of single-family home sales according to the North-Shore Barrington Association of REALTORS® (NSBAR). NSBAR’S latest data shows new listings increased 6.6 percent to 1091 up from 1023 a year ago. The number of closed sales increased 3.7 percent to 222 for February 2019 compared to 214 in February 2018. The number of homes under contract (contingent and pending) increased 1.4 percent. The average sales price is down 4.4 percent in 2018 at $596,042 in homes sold in February compared to $624,066 for the same period last year. The median sales price was up 1.2 percent in February, up to $482,500 compared to $477,000 during the same period in February 2018, and the average listing price increased 16.4 percent with the percentage of the original list price to sale price ratio increasing to 91.0 compared to 90.9 in February 2018. The inventory of homes in the North Shore and Barrington area increased by 9.6 percent in February, compared to a year ago, going from 2,575 to 2,823. The month’s supply for sale is the down at 2.6 percent compared to 9.0 months in February 2018. - Year-to-date, 427 detached single-family homes sold in the North Shore-Barrington market. The number of communities in the region reporting an increase in home sales for February was slightly more than in February 2018. The median sales price increased 0.3 percent on sales in the North Shore and Barrington areas. - Barrington area – 64 detached single-family homes sold year-to-date, up 12.3 percent compared to 57 detached single-family homes sold in February 2018. The median sale price in February 2019 was $567,250, up 25.5 percent compared to $452,000 a year ago. - Deerfield – 25 detached single-family homes sold year-to-date, down 10.7 percent compared to 28 detached single-family homes sold in February 2018. The median sales price in February 2019 was $535,000, up 8.5 percent compared to $493,250 a year ago. - Evanston – 31 detached single-family homes sold year-to-date, down 10.7% as compared to 44 detached single-family homes sold in February 2018. The median sale price in February 2019 was $535,000, up 8.5 percent compared to $493,250 a year ago. - Golf-Glenview – 34 detached single-family homes sold year-to-date, down 30.6 percent compared to 49 detached single-family homes sold in February 2018. The median sale price in February 2019 was $626,250, up 4.4 percent compared to $600,000 a year ago. - Lake Forest – 24 detached single-family homes sold year-to-date, down 7.7%, compared to 26 detached single-family homes sold in February 2018. The median sale price in February 2019 was $890,000, with no change 0.0 % compared to $890,000 a year ago. - Northbrook – 36 detached single-family homes sold year-to-date, with no change at 0.0 percent compared to 36 detached single-family homes sold in February 2018. The median sale price in February 2019 was $600,000, up 26.3 percent compared to $475,000 a year ago. - Skokie – 54 detached single-family homes sold year-to-date, up 12.5 percent compared to 48 detached single-family homes sold in February 2018. The median sale price in February 2019 was $329,000, down 8.6 percent compared to $360,000 a year ago. - Winnetka – 17 detached single-family homes sold year-to-date, down 22.7 percent compared to 22 detached single-family homes sold in February 2018. The median sale price in February 2019 was $927,722, down 25.0 percent compared to $1,237,500 a year ago. Sales and price information is generated by NSBAR with Midwest Real Estate Data (MRED). The North Shore-Barrington Association of REALTORS® (NSBAR) represents more than 3,800 practitioners in residential and commercial real estate. Since 1919 it has been the area’s leading advocate for private property rights and a healthy real estate environment. Visit NSBAR online at www.NSBAR.org. Please note that the numbers noted in the aforementioned links to Lake and Cook County Market Reports apply to all properties of all types and sizes throughout Cook and Lake Counties and that numbers may change when looking at a specific town, neighborhood, property type or even the type of sale. Should you desire an overview designed for your home or area or even a home in an area you are considering, this information is available. If I can assist you with information to help you to determine if now is the time for you to consider buying a new home or selling your current residence in Chicago’s North Shore, North or Northwest suburban areas, please let me know and I would be delighted to arrange a time to review your situation and recommend a plan tailored to your personal circumstances. Additionally, if you are considering buying or selling or, alternately, if you are just interested in the property value of your home or a home that interests you, please feel free to send an email request to me at allyson@allyson.com and I will gladly arrange to meet with you and/or set up a personalized webpage with data generated for your home, any home that interests you or for a personalized new home search profile that matches your unique criteria. Click here to see what others have to say about how Allyson was able to help her clients achieve their real estate goals. If you’re planning to sell your home in 2019, getting top dollar will undoubtedly be a priority. Home improvement projects can add value, but not all tasks have the same return on your investment. So, if you have current or future plans to remodel, consider these five ways to most benefit your property. If you have a few thousand dollars to spend on a remodeling project, upgrading either your kitchen or your bathroom is a smart bet. These two areas not only attract buyers, but they can deter them if the rooms look outdated. Even if you have only a limited budget, it is advisable to consider partially updating these areas with new fixtures, paint and/or flooring. The old adage, “you never get a second chance to make a first impression” is inherently true when it comes to selling your home. So investing in some eye-catching flowers, bushes or other landscaping attractions as well as cleaning up clutter or overgrown plants can have a major impact on a buyer’s initial reaction to your home and the price you’ll obtain. Whether you would like to install new windows or replace an old furnace with an energy-efficient model, eco-friendly projects can reap big rewards. Many buyers are attracted to minimizing their own costs as well as choosing energy-friendly improvements in their homes. One of the least expensive and easiest ways to improve the value and the look of your home is by painting. At a minimum, consider putting a fresh coat of paint in main rooms of the house. 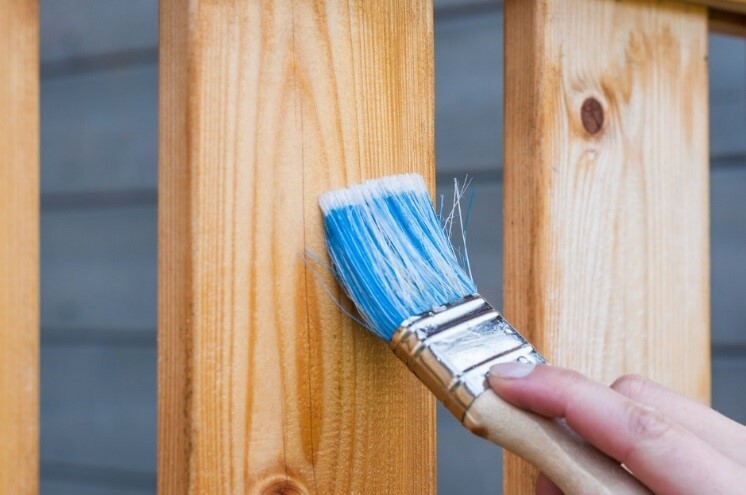 If you have more available funds to spend, exterior paint can make your home look brand new. Most homeowners value storage space as a priority, so if you can fulfill that need, it can reap rewards in the selling price of your home. Easy ways to accomplish this objective include installing shelves in a garage, custom-fitting an existing closet to maximize the use of the space or even adding small closet in a large room. Thus as you begin to consider selling your home in 2019, also start planning the improvements for changes to increase its value. For additional ideas regarding preparing your home for sale, the selling process or moving tips, please contact me today for a consultation. I will be happy to answer any questions you may have, and/or help you determine the value of your home. A home sale can fail for many reasons. Sometimes it is due to the buyer failing to obtain a loan. Other times, it is due to an issue with the house itself. Sellers can take steps to protect themselves in both cases. When it comes to accepting an offer, sellers should consider choosing only a buyer who has been reliably preapproved. While this isn’t a guarantee that the transaction will close without a hitch, it definitely can help to minimize the likelihood of a problem relating to financing. Also, try to close the sale as quickly as possible because a buyer’s status can change. A delayed closing for one reason or another can increase the risk that it will fall through. 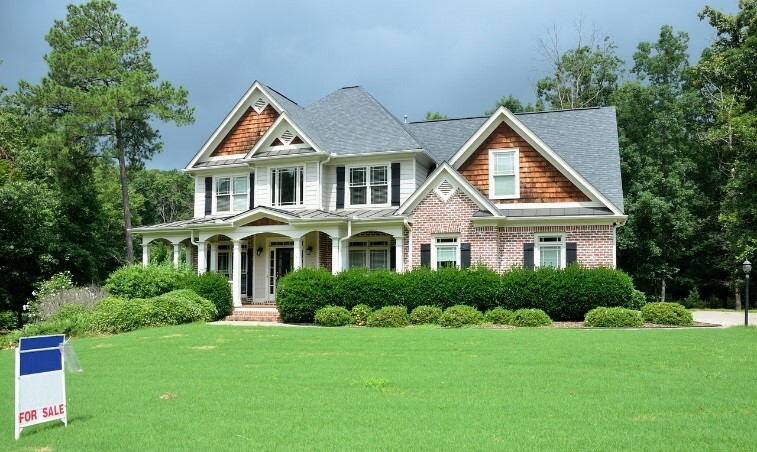 To prevent house-related issues from causing a real estate transaction to fail, consider performing a pre-listing home inspection and address problems that surface prior to putting your home on the market. Sellers will not want to find out unpleasant news after having contracted with a buyer. Also sellers should be certain to disclose to the buyer any known problems with the home. This way, when an offer is tendered, it’s from an informed buyer who knows what they are considering. There are numerous types of inspections for a home. To understand which inspections are needed based upon the age of the home, the geographical area and other factors, consult with an experienced real estate agent. If something adverse surfaces, it could impact future salability or the ability to obtain a loan on the property. Working with knowledgeable professionals including a real estate agent and lender should reduce the risk of having a failed contract. By following these suggestions to do things right, a “For Sale” sign should soon say “Sold.” For additional information regarding how to assure a smooth and trouble-free real estate transaction, feel free to contact me today for a consultation. I will be happy to answer any questions you may have, and/or help you determine the value of your home. Thanks for reading my newsletter, and please feel free to forward this email in it's entirety to anyone you feel would benefit from it. Click here to UNSUBSCRIBE. You will be removed automatically and immediately. Please also ignore this newsletter if your home is listed with another broker. It's not our intent to solicit other broker's listings.